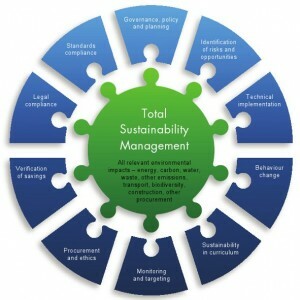 Corporate companies that are involved in the manufacture of electrical and electronic goods are becoming more and more concerned about the conservation of environmental resources, looking for convenient and eco friendly alternate biodegradable energy resources, thus leading to reduced energy consumption, beneficial to both the firm and society in general. “Go Green”, is the mantra that not only adds to the firm’s image but also appeals to the customers and suppliers who are associated with these firms. Disposal of e-waste is one thing and recycling is another, both of which have to be handled with care. Developing countries have not evolved a proper processing system to discard or recycle the electronic waste such as scraps, obsolete devices, broken instruments etc., which can cause serious pollution problems and health hazards. The governments of all developed and developing countries enforce pollution control measures to monitor and control the quality of air, water and land. Any chemical exposure during recycling of waste can cause irreparable consequences, like the one in a nuclear reactor leak, where the harmful effects of radioactive substance stay for a long time, affecting the masses over the generations to come. The revolution in the IT (information and technology) industry has made the world very small, converting it into a global village. Obviously the percentage of consumers using personal computer systems and networking systems is quite high. What happens to the electronic waste? How do people dispose it of? Do they really have the awareness or at least concern about the negative consequences and dangers of the improper disposal methods? Developed countries at least make it a point to impose fine on vendors and consumers who do not follow the federal laws on how to dispose e-waste. A general awareness is seen among the people of these nations. But, what is the condition in developing nations, where there are no strict rules laid down, that neither control the disposal of electronic goods nor ensures the health and safety standards of labor involved in such processes. Governments can encourage manufacturers who incorporate waste recycling plants as part of their production that helps in usable component recovery and facilitates cost-effective processing of electronic waste in volumes. The crux of the whole idea of recycling is to avoid the green gas emissions as a result of manufacturing products from scratch. Recycling of electronic products by dismantling them and recovering the usable components makes a great difference in conserving the energy resources, less contribution to pollution and increased efficiency utilization. Green computing is aimed by many of the electronic vendors where caution is exercised even right from designing the product through its production, usage, disposal and recycling, that no negative impact is created on the environment. In the modern computer era, where each and every organization employ numerous computer systems, network and communication systems, printers, storage devices for its communication and business transactions, environmental safety has to be included in the policy framework.RTGS (Real Time Gross Settlement) and Net Banking are e-tools that cannot be done with and businesses stumble if there is a hitch in these money transfer mechanisms. When we are able to appreciate the power of technology, we should also try to counterbalance its darker side through environmentally sustainable operations. Countries with high population density are supposed to exert unprecedented pressure on the environmental resources such as land, soil, air, water and forests. The government has to frame strong policies in order to arrest the degradation process. IT industry helps a nation to grow economically and at the same time should also aim at building an environmentally sustainable future.